The Roslindale substation was one of several in Boston neighborhoods that supported the old streetcar network. The hulking power substation stands vacant at the edge of Roslindale Square, a bleak remnant of the network that powered trolley cars in Boston more than a century ago. Out of use for 40 years, the brick building has slowly deteriorated into an eyesore that belies both its proud history and prime spot overlooking an active business district. Now, after years of false starts, the city-owned substation is poised for a dramatic transformation: a mixed-use complex with dozens of apartments, restaurants, and a produce market. The project, led by local nonprofits and a Rhode Island developer, involves restoring the original details of the 1911 building, designed by the prominent Boston architect Robert S. Peabody, and constructing about 40 apartments on an adjacent lot. 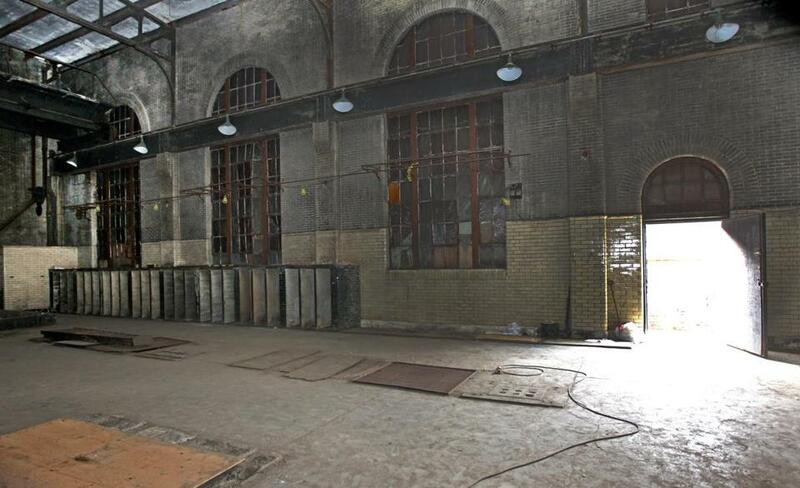 The substation itself will house a restaurant, small cafe, and the produce market. Pending city approvals, the developers hope to begin construction next fall. The project would refurbish the building’s massive arched windows, many of which were bricked over years ago. About 40 apartments would be built on an adjacent lot. The substation was one of several in Boston neighborhoods that supported the old streetcar network that led to a period of rapid growth in the city. Historic Boston is working on the project with Roslindale Village Main Street. Those groups received a city designation to redevelop the property in 2010, and more recently struck up a partnership with Peregrine Group, a development firm based in Rhode Island. Plans for the mixed-use complex took shape earlier this year when the owners of F.J. Higgins Funeral Home decided to sell their property to the new development team, freeing up additional land for the apartments. Developers said the apartments will help to fund the restoration of the substation, a $5.2 million effort whose cost has stymied several prior redevelopment efforts. Beverly Gallo, a principal at Peregrine Group, said the team intends to work on both projects simultaneously, so the apartments and revitalized substation open around the same time. About 38 parking spaces will be included in the final project, most of which will be for the apartments, a mix of studios and one- and two-bedroom units. While he expects to hear concerns about traffic and parking, Gag said redeveloping the substation will advance the broader goal of making Roslindale a livelier neighborhood. And for the first time in years, Gag said, he is confident the project has the financial strength to get done.